Utopia Kitchen's dinner bowl set is made from opal glassware which takes away the hassles of broken or chipped plates. The tempered glass gets exclusive thermal treatment which gives it the resistance to withstand up to three times normal tableware. All the pieces in the dinner set are safe for the standard dishwasher and can be used without any worry. The opal glassware is designed to withstand the wear and tear without losing their shine or their designs. All the bowls are microwave safe. You can use the tempered glass dishes without worrying about the thermal shocks. 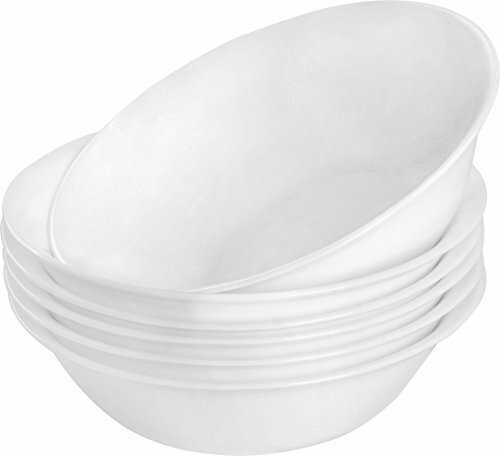 The surface of the bowls in the bowl set are non-porous, and are resistant to microorganisms. This ensures 100% hygiene for you and your family. The entire bowl set is made from only the best tempered glass material, the opal ware is both durable and break resistant.